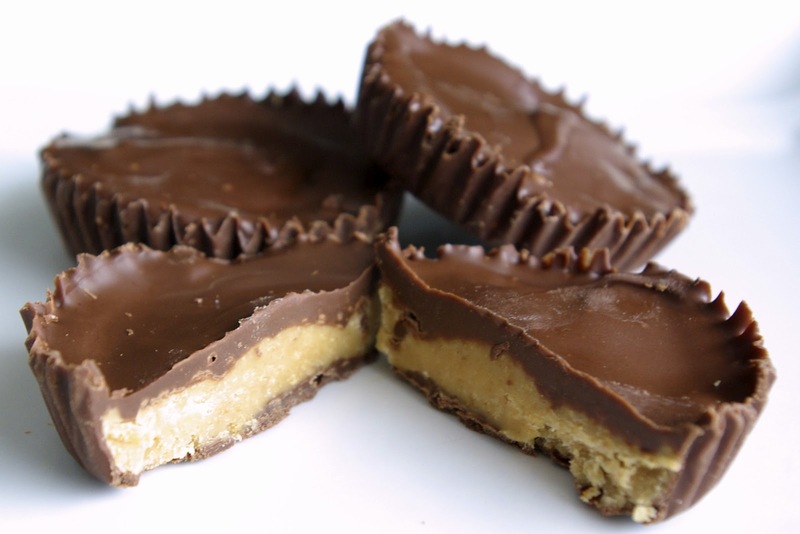 Reece’s Peanut Butter Cups have always been a favorite candy of mine. When you have creamy peanut butter surrounded by milk chocolate all wrapped up in that famous orange package, it just can’t be beat. I always eat around the crinkle edges first, saving the peanut buttery center for last. The only problem is that after the two are gone, I still want more :-). This is where my recipe comes in. 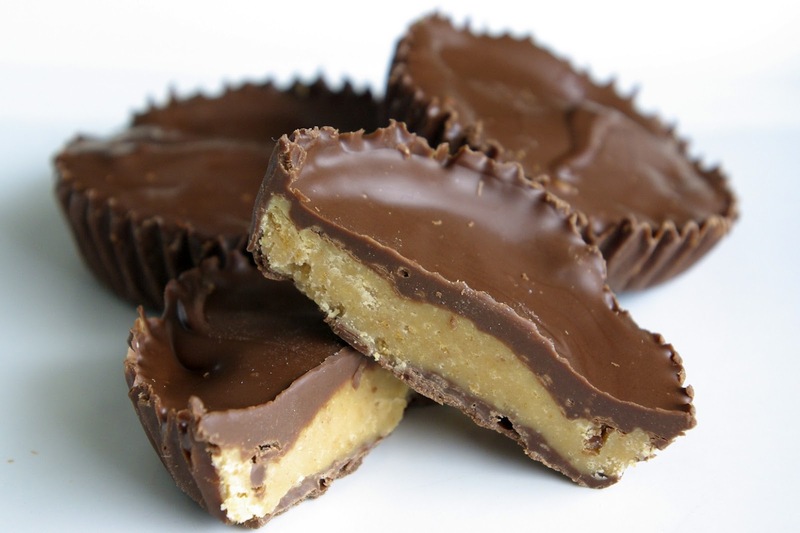 I was browsing through allrecipes.com the other day and I came across a recipe for homemade peanut butter cups that I couldn’t pass up. Though they are a bit time consuming, these tasty treats are super easy to make and well worth the effort, I promise. You can make them in either a mini or standard sized muffin pan; I elected to use the standard size tins because I prefer a greater peanut butter to chocolate ratio. MMM MMM MMM. I have adapted the recipe only slightly by using creamy peanut butter rather than crunchy. I hope to try it with white chocolate next… I will let you know how it turns out! Do you have an all time favorite candy? Do you prefer chocolate candies over sugary/fruity varieties? Let me know below! Line your muffin tin with paper cups. In a medium saucepan combine butter and peanut butter. Cook over medium heat, stirring occasionally, until melted. Stir powdered sugar and graham cracker crumbs into peanut butter mixture. Using a clean paintbrush or spoon, paint a thin layer of chocolate covering the entire bottom and 3/4 up the sides of the muffin cups. Repeat with all cups and put in the freezer or refrigerator to cool completely. Repeat step five with remaining chocolate and shortening. Spoon a thin layer of melted chocolate over each peanut butter cup so that they are fully covered and (relatively) flat.